Each plastic anchor kit includes plastic anchors, combo-pan tapping screw and 1 drill bit. 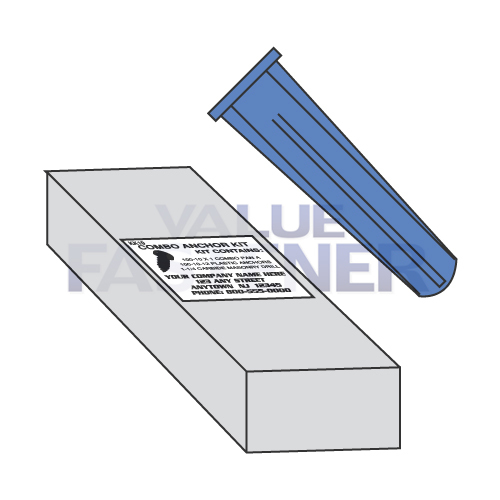 The part number of the plastic anchor kit includes the part number of the anchor in contains. The plastic anchor color varies depending on the supplier.